Ohio considers most of these criminal offenses that are punishable by jail sentences in addition to fines. If you are ordered to appear in court and face incarceration in Franklin County, you will benefit from consulting with a Columbus traffic lawyer who can talk you through possible defenses and represent you before the judge. After determining whether you must go to trial, look at the top of your Ohio traffic ticket to check the date on which it was issued. You have 30 days from that date to either sign the citation and return it with payment or to request a court hearing. You have a right to contest any alleged offense, and you also have the right to be represented by a traffic lawyer. Speeding — The law enforcement officer will record the posted speed limit and the speed at which he or she recorded you driving. OVI — The officer will indicate whether you tested positive for alcohol or drug use and which laboratory tests were performed (i.e., breath, blood, urine). Driver’s License — This shows whether you were found in possession of more than one license, whether you were driving under suspension, and whether your license has expired. Safety Belt — Ohio requires all people in the front seats of vehicles to use seat belts and all children younger than 8 years old to use a booster seat or child safety seat. Other — The ticket form contains two blocks for violations ranging from failure to yield right of way to driving with an unsecured load. The officer will fill in the offense codes in a box in the upper right-hand corner of the ticket. You can type the codes into an internet search engine and find the description of the alleged offense. You can also call a Columbus, Ohio, traffic lawyer to discuss the charges. Be aware that officers can, and often do, list more than one charge on a ticket. You can choose which charges to contend and which to simply plead to and pay for. A series of checkboxes for recordkeeping and data-reporting purposes appears after the Other boxes. 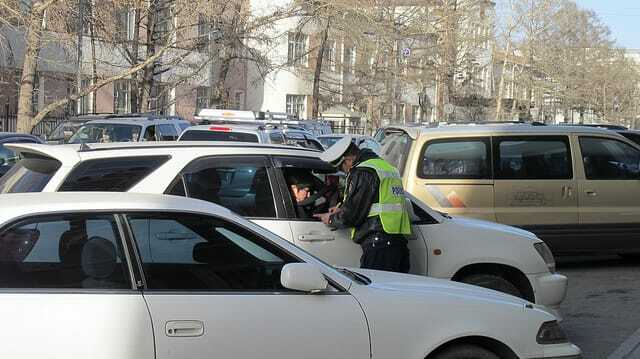 Police and state officials use the information to assess road safety and other matters. Some of the details may factor into your traffic ticket defense or insurance filings, but it is not as important as the alleged offenses. A line near the bottom of the Ohio ticket form is reserved for a Crash Report Number. This line will only be filled in if you received your ticket for allegedly causing a wreck. Use the number to obtain information about the crash investigation, and report the number to your auto insurance company. You must report all crashes to your insurer or risk losing coverage. Officers do not need to fill in this final section of the ticket form. When the officer does make remarks, however, the information can be used to support a conviction or bolster a defense. If you hire a traffic ticket defense attorney, make sure to share the completely filled-out form with him or her so your lawyer will have as much information as possible to use on your behalf. The Columbus traffic ticket lawyers with the Maher Law Firm have helped drivers in every court throughout Franklin County. If you have questions or need representation, call us at (614) 205-2208 or request a free phone consultation online.